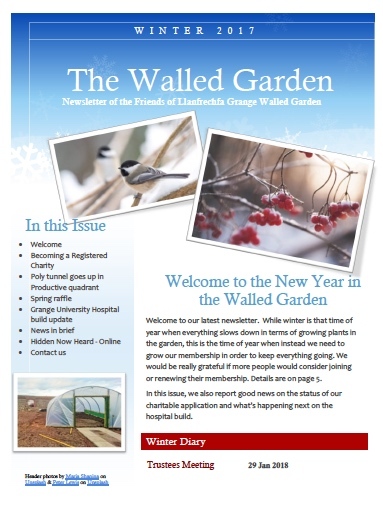 Welcome to the latest issue of our newsletter for Winter 2018/19. 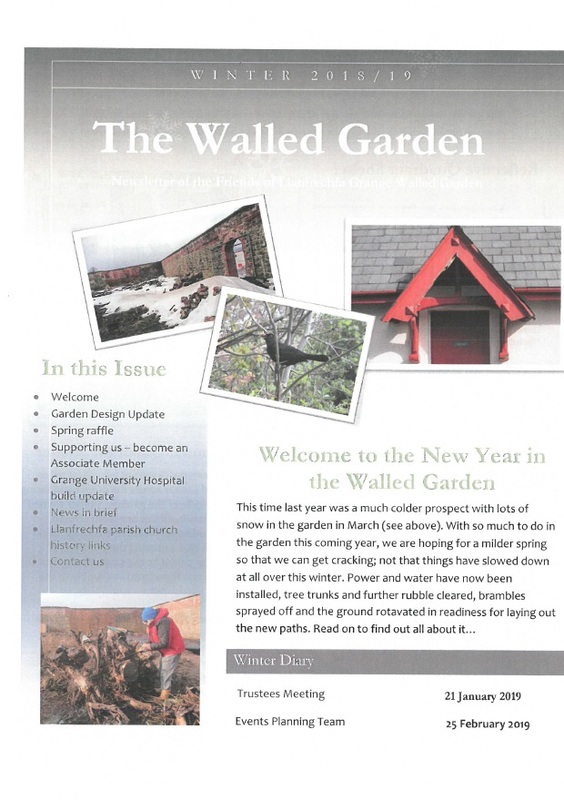 Do you love the idea of the Walled Garden project but can’t garden or just don’t have green fingers? There are lots of other ways to volunteer or get involved. Right now, we are looking ahead to what events we need to plan for over the coming year and would really welcome any offers of help to take this forward. Help running activities such as open days, volunteer working parties, manning a stand at external events, celebration and social events. 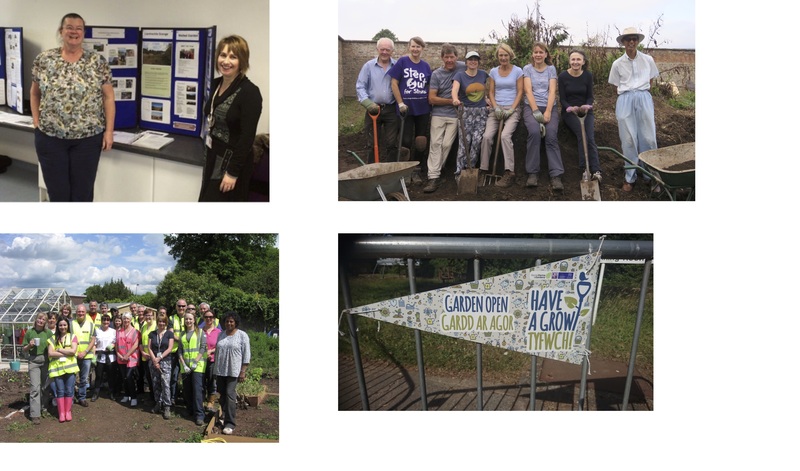 Weekend Working Parties – a Big Thank You! 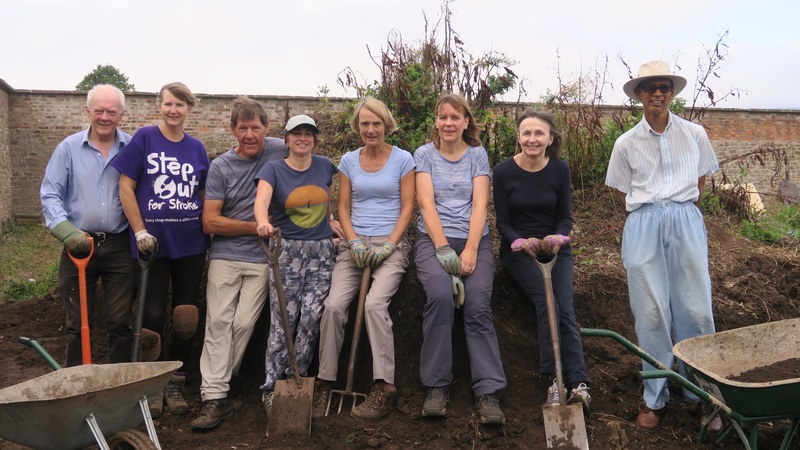 We would like to say a BIG THANK YOU to everyone who came along this weekend to help us prepare the ground for the installation of a new electrical and water supply around the garden. Everyone worked really hard and did a fantastic job. 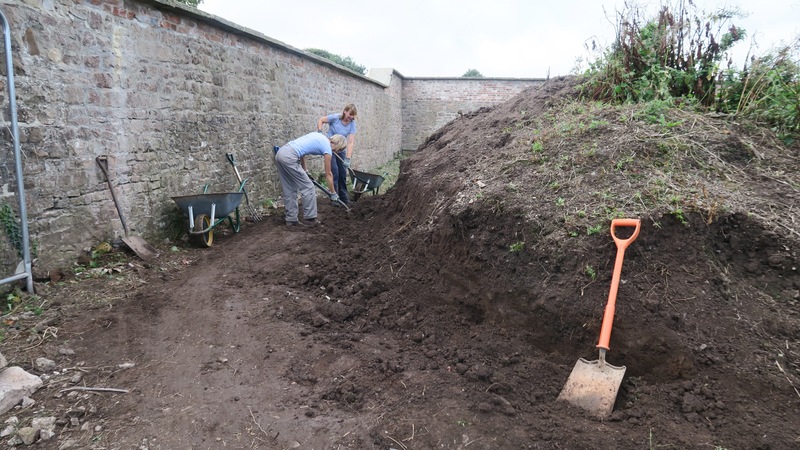 The work involved weeding, moving piles of rubble and digging away part of the big soil “mountain” in the south of the Walled Garden to clear a route close to the walls so that a digger can get through to make the required trenches. 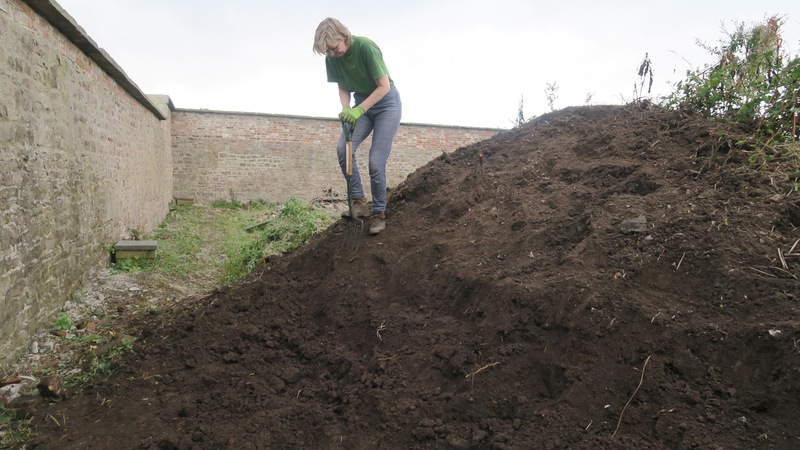 The soil from the mountain was then transported to the other end of the garden to help level out some of the uneven ground in what will become the “productive” quadrant. Here are some photos of the volunteers from the Saturday afternoon and Sunday crews. 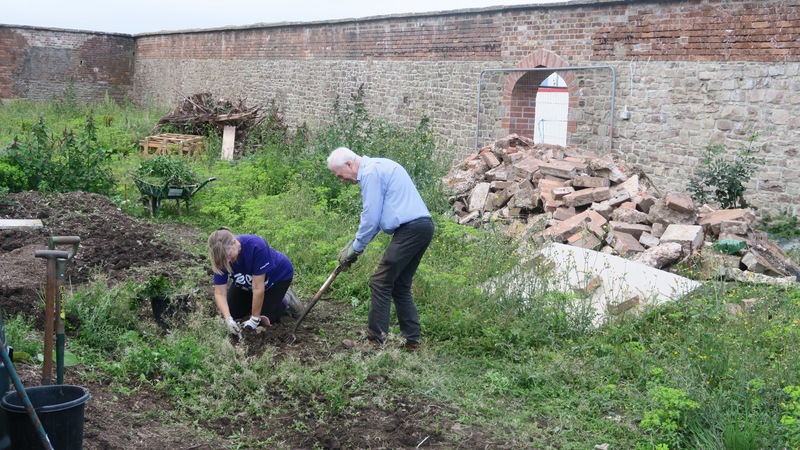 If anyone has any photos from Saturday morning, do please send them in to email: info.lgh.garden@gmail.com so that we can include as many volunteers as possible. 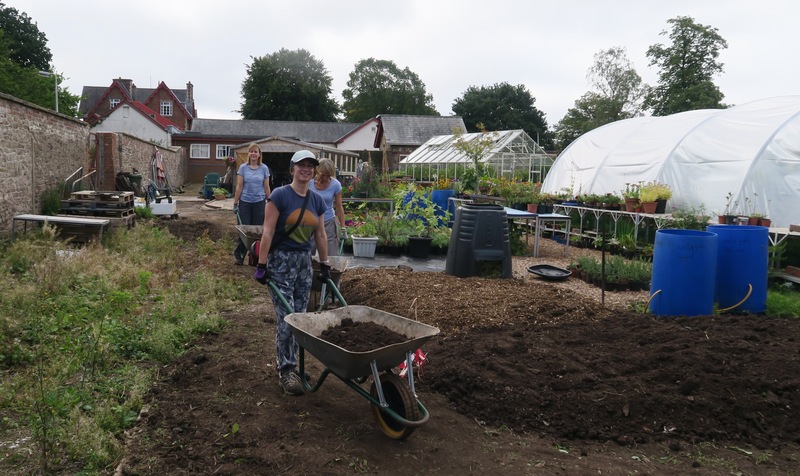 We are always ready to welcome new volunteers to this wonderful community gardening project in Torfaen. If you are interested in giving it a try, we are open every Monday during the day time and every Sunday morning 10.30 – 12.30. Visit our Volunteering page for more information. 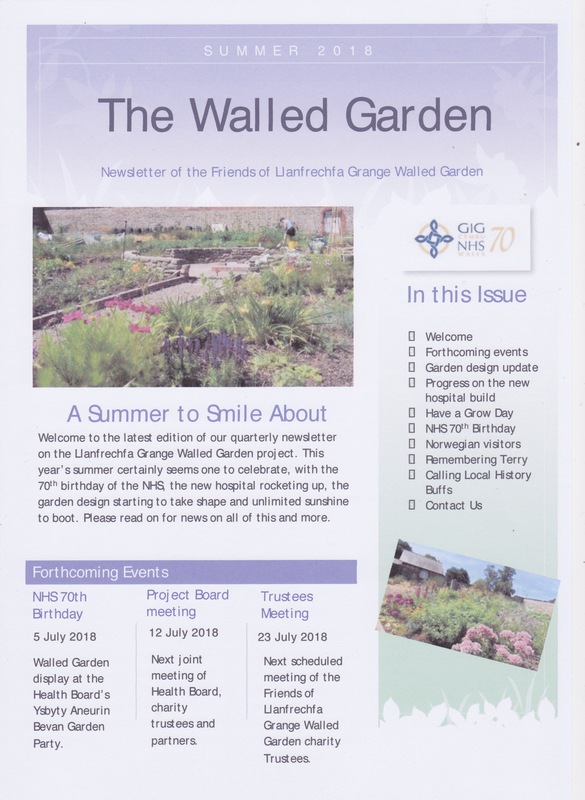 The Friends of Llanfrechfa Grange Walled Garden are members of ‘Social Farms and Gardens’, a federation of community growers. 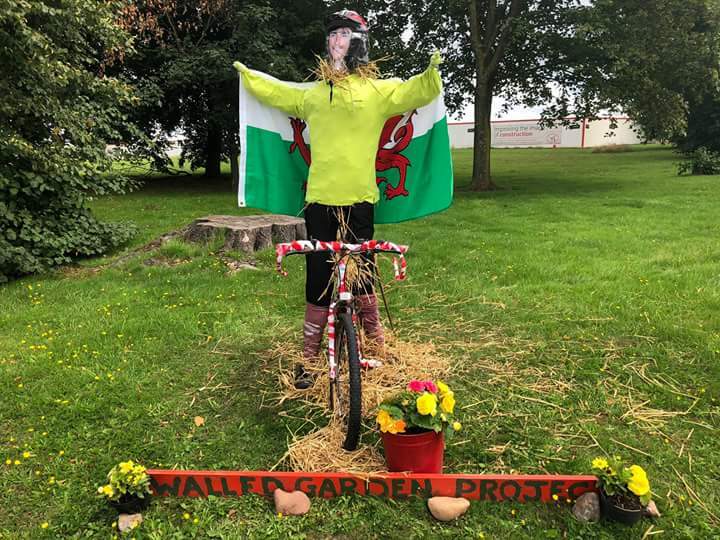 On Saturday June 2nd many members will be opening their gardens to promote and celebrate the work of community growing groups across Wales, and we are one of them! 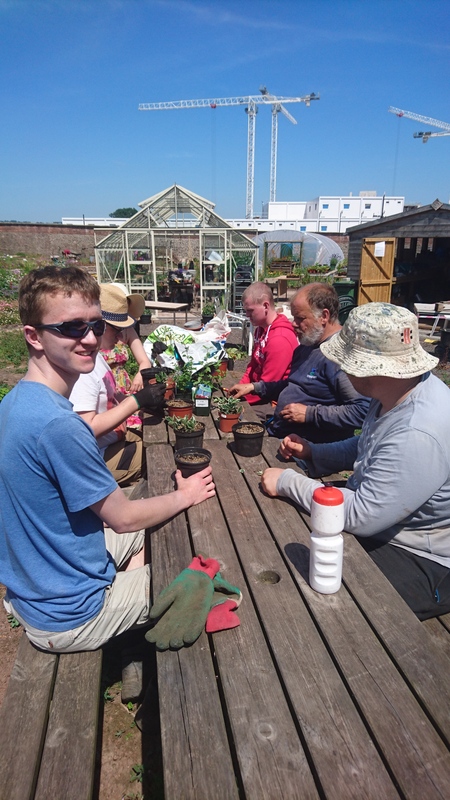 If you want to get involved too and ‘have a grow’ we will have seeds to sow and plants to pot on, or just come along to see how the garden is progressing and maybe buy a plant or two. Refreshments also available. We will be open from 10.00 until 1.00. 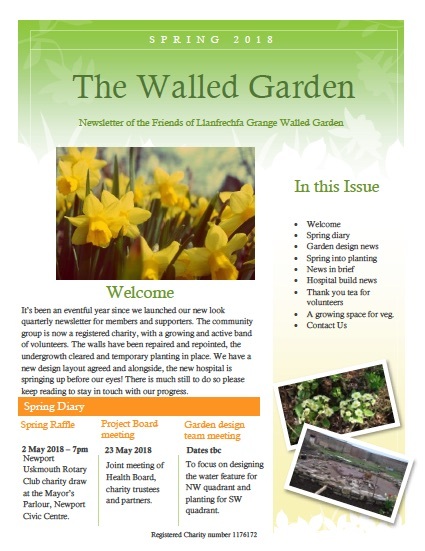 The Trustees are pleased to announce that we will be holding an Open Morning at Llanfrechfa Grange Walled Garden on Saturday 14th April, meeting at the Committee Room, Grange House, from 10am to 12 noon. This event has been specially organised for friends and volunteers as a thank you for supporting the project. 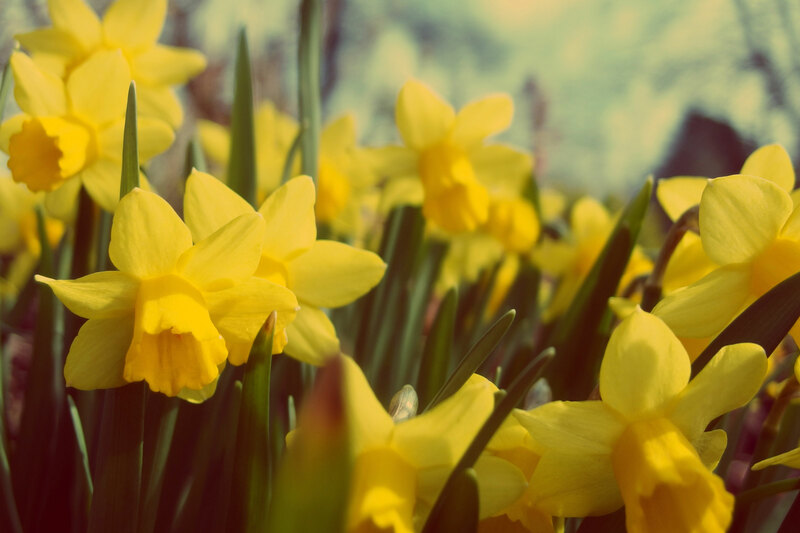 There will be an opportunity to look around the garden and see what we are growing. We hope it will be looking quite colourful by then! You can meet other supporters and the Trustees and find out where we currently are with our plans for 2018 and beyond. You may be able to purchase plants, or at least place an order for some and we will, of course, have refreshments available. So make a note in the diary, dust off the cobwebs (and the snow!) and come and join us for an hour or two. Hidden Now Heard goes online. 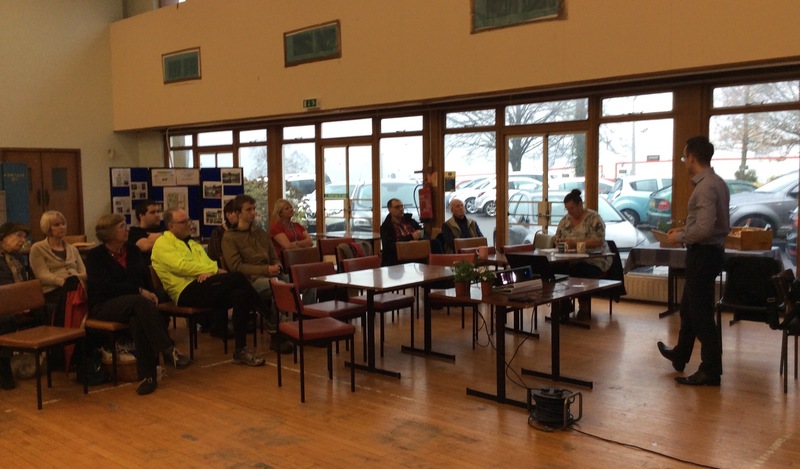 The second AGM of the Friends of Llanfrechfa Grange Walled Garden was held in the Main Hall at Llanfrechfa Grange on a dark and soggy afternoon on 20 November 2017. 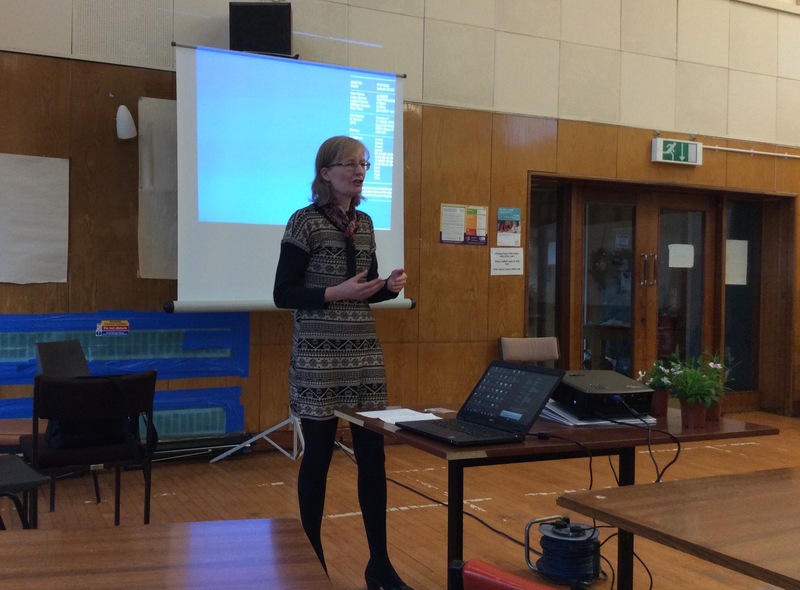 Despite the dreadful weather, a few brave souls joined the Trustees for a look back over the last year’s activities and to hear news of our future plans. A raffle and sales held on the day, along with some membership renewals, raised around £100 for the charity. Our thanks to all our supporters for your contributions over the past year.